Nintendo is well accustomed to tackling legal battles around the world, particularly patent disputes that have been prominent since the phenomenal success of the Wii and DS. While Nintendo comes out on the winning side in most cases, it lost a notable case to Seijiro Tomita over the 3DS, and has been facing a worrying series of claims from major Dutch technology company Philips. Nintendo and Philips have history as business partners, with the two companies working on a CD-based system in the '90s after a similar project with Sony had fallen through; there was no combined console released to the public from that partnership, though Philips was — infamously — allowed to use brands like Mario and Zelda on its CD-i system. Earlier this year it emerged, however, that Philips was taking Nintendo to court over patent claims related, in particular, to the Wii and the Wii Remote motion controls. Philips stated that it advised Nintendo of the patent issue in 2011 but, with no agreement evidently reached, initiated proceedings throughout Europe and in the US — the company was seeking to have the Wii U and Wii removed from sale and to receive financial compensation. While the former is rarely a realistic proposition, it was clear that Philips had a case when it secured an early victory in the UK courts, with Nintendo set to appeal. Nintendo today announced that it has entered into a global patent license agreement with Royal Philips (NYSE:PHG, AEX: PHIA). As part of the agreement, Nintendo and Philips will cross license portions of each company’s patent portfolio. This agreement ends patent invalidity proceedings brought against Philips by Nintendo in multiple countries, as well as patent infringement proceedings brought by Philips against Nintendo. It ends all legal proceedings and threats to the current Wii U, while our interpretation of the legalese is that there's been some acknowledgement that Nintendo's patents are overlapping with those of Philips. Nintendo seems keen to stress that it's a two-way street with some Philips properties also being shared with the Kyoto company, though considering the voracious nature of Philips' actions in courts around the world we'd suggest that it may have secured a share of profits or revenues from technology related to the Wii Remote. We're unlikely to see details revealed by either side, however, though future financial reports may help to indicate whether Nintendo is paying off Philips with sizeable fees, or whether we have the preferable scenarios of shared revenues or a renewed working relationship. Whatever the case, a worrying legal problem appears to have been averted. I'm not too sure as I got a little confused, but from what I understand is that both Philips and Nintendo have dropped any legal cases against each other and are allowing one another use of each other's patents? If that's correct then wouldn't that mean Philips would be also likely in paying Nintendo? ... Cartridge-i maybe? Seeing how it was the opposite last time around... Anyway it's good that they finally settled, this way everybody benefits in some way. @FragRed I don't think so considering they won their case in Europe. @FragRed Neither party will pay a dime to one another and they can interchange tech if they so desire, within constraints of this newly constructed agreement. Sounds to me that in order for Phillips to drop its case and claim against Nintendo over the Wii/Wii U related infringements that Nintendo has had to agree to share some of its tech with Phillips. Basically; Nintendo gets to keep using the tech it's already using in Wii and Wii U, I don't think it's going to get access to any new Phillips tech at all, and Phillips gets to use some Nintendo tech it wasn't allowed to use prior to the case. This is Nintendo's 'legalese' way of saying "To avoid losing our right to use some of the tech in Wii/Wii U, which could create a whole mess of problems, we've reluctantly conceded to let Phillips access/use some of our own Patented tech and we shall call this 'a global patent license agreement' so we don't have to just come right out and say we got our *sses kicked and so it sounds like each side is benefitting from the other and it's all nice and amicable". From what I'm reading; Nintendo's only "settled" [conceded something to the other party] in this manner because it knows it most likely can't win this case; otherwise you can bet your *ss Phillips wouldn't be sniffing any of Nintendo's tech. @Takerkaneanite6 Yes I am sure hospitals and research centres will boycott Philips for that They clearly had a case otherwise they would not have had that victory in the UK courts so I'd say it's more a case of Nintendo realising they did have a legitimate claim and decided to work it out with them. @OorWullie It's a bit more nuanced than that: first off, a ruling, final or not does not always mean that it is just/correct. Innocent people end up being punished/going to jail, and guilty SOB's end up walking free all the time. I don't have that much blind faith in the legal system at ALL. Sometimes it's just a case of having the better lawyer, especially in the case of large companies such as these. Second and most important: if Philips has a strong case and is eligible for a hefty sum then why the hell would they settle to be able to use Nintendo tech? If they were so sure and I was Philips, I would give Nintendo the middle finger and tell them to pay or else and would just keep on suing them until they pay. 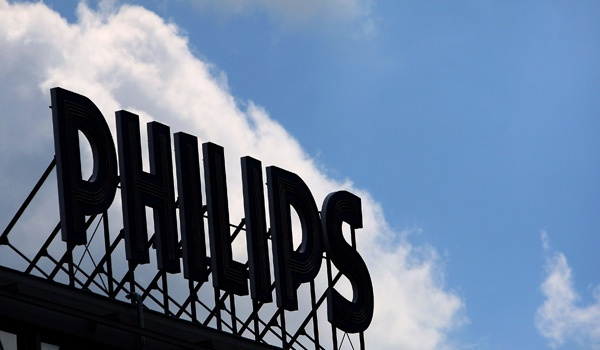 Philips willing to settle out of court while supposedly having the upper hand should put serious doubts about the strength of their subsequent case in any logical person's mind. Cool, does this mean we will get a CD add-on attachment for the Wii U? I'd like a Faces of Evil/Wand of Gamelon rerelease/remake just for more YTP's. Shut up and take mmmmmmmmmmmmy Rubies! This time it includes the rights for Phillips to make 3 Metroid video games and a Zelda animated series. The spokesperson for Phillips indicated that "We wish to take Samus in the direction of a live action soap opera raising a baby metroid. The trilogy would focus on the daily challenges an intergalactic bodyguard single mom would face in caring for her child while trying to find time to incinerate space pirates and brain sucking space creatures. We feel that we will be able to take Samus's character in directions that she had nev...uh...been only once before." If @TheRealThanos is correct, and I'm a bit hesitant to say he is since it is an internet comment, I get the feeling that Nintendo was going to win the suit, but instead told Philips that they can interchange tech, because of Philips presence in the medical industry, if they drop the whole thing. It's either that or Philips realized how little they would get from this case if they won, because of how outrageous their claim is, so instead went with interchanging things with Nintendo in hopes of making even more. My Wii U is next to a Philips device, I'm glad that's now no longer a controversial decision. @Transdude1996 I understand your reluctance, and all I can say is that not all internet comments are idle talk: I'm a 44 year old IT sales & marketing professional with almost 14 years of experience and besides looking into financial profiles of companies I sometimes also come across legal issues and such, and out of semi-professional curiosity I use my business skills in every day life as well, so also game(company) related. As for this law suit and the result it has now come to: even though no one knows the details outside of the parties concerned, it is quite likely that the case could have dragged on way longer than any of them would want, because of their respective lawyers, and Nintendo is famous for having some real sharks in their tank as far as the legal department goes. So, it would probably cost both of them more money than they would care to spend, regardless of what the possible outcome might have been, which could explain why they chose to settle out of court, saving both of them a lot of money and possibly gaining options in several departments. I already previously mentioned the connection that can be made with Philips' experience in the medical industry and Nintendo's wish to do something with a Quality of Life platform. That is one area in which they could collaborate and/or exchange technology, and there are probably more things that they could exchange to their mutual benefit. @Kirk It's not so clear cut in fact the agreement seems pretty neutral. There have been some people spoke about Nintendo made a counter patent agreement charges in response as in "patent inability proceedings" and more. It says "Cross licensing" which really is a broad thing and not enough to say Nintendo is trying to save face. There is also the QOL factor we could consider here. Maybe now we'll see Super Mario's Wacky Worlds finished? Well I'm going with my gut on this one; based on my experience with the similar area of Trademark law, it's basically the same difference, the little I've read about the case and the wording of the particular quote above. My gut tells me this was a case of a company that believed it would lose if it continued to battle in this particular dispute and therefor decided to do whatever it would take to come out of this situation as best it could given the circumstances. The main thing here is to basically never take what a lawyer or PR person says at face value. "Financial details and other terms of the license agreement will not be disclosed." "The patent system was established, I believe, to protect the lone inventor. In this it has not succeeded. … The patent system protects the institutions which favor (profit from) invention." Ernst F.W. Alexanderson, Swedish-American electronics engineer and inventor whose contributions were important to the first live radio broadcast. He spent 46 years associated with General Electric, and held 322 patents. @Kirk In legal matters such as these, the brain is the best advisor, not the gut. If Philips truly believed they had a strong case, then they probably wouldn't opt for a settle out of court solution but instead would have pushed through with the long term gain in mind. Now it is more or less a possible status quo costing them both too much time and money to invest in and so the solution as it now stands has become a fact. That is surprising. Usually when a company honestly came up with something first they work very hard to put the infringing party under the bus. We don't know the nitty gritty of this deal and may never ever know. So it's mostly un exciting news as nothing changes that we can see. Philips is going to come back... with a REVENGEANCE! So....continue gathering our pitchforks and torches? In a response such as mine I was using the word "gut" to mean the 'thin slice' I'm making based on some previous experience and knowledge in such areas. I actually think you're probably using your heart (gut, personal feelings, whatever) more than your head here, based on reading your comment, and certainly more than I think I am. In other words, regardless of the exact word used to express and describe where we're drawing our opinions and conclusions from, I believe my own view of what happened is likely more close to the actual objective truth here. I think Nintendo conceded the usage of some of its own Patented and hitherto exclusive tech to Phillips in order to retain the rights to continue to use the Phillips tech it's been using basically without permission, avoiding the potentially massive and far reaching legal ramifications of universally losing the case (which based on what we're reading it almost certainly would have and indeed already did in the UK courts at least), and that's about the gist of it. Phillips: "You've used our 'stuff' without our permission [the courts agree; at least in the UK and we expect they will elsewhere too] and now we're going to make you pay us [a lot] for it." Nintendo: "Instead of taking a huge wad of money, which we're trying not to spend any more of just now if we can help it, how about we let you use some of our 'stuff' and then we're all square?" Nintendo PR: "Yeah, we're all happy families." PS. Getting full access and rights to use some of Nintendo's Patented tech might be considered a "long term gain" by some and possibly even more so than making some quick and easy money. Philips, first pay me back €200 for the broken WiiMotes and Balance Boards, which broke because of your worthless leaking batteries (5/8 started leaking! ), then we'll talk again. The sad comment is that given the Wii U's poor sales not many people would have noticed if it had been banned for sale in the US. If you've read all my comments (#11, #16 and #24 and if you haven't yet, I'd invite you to do so) you'd be able to see that I haven't used anything but logic/analytical thinking in these comments, and you certainly can't get me using my heart from just reading my last comment, or it's my skill in making other people understand my comments that's lacking. Either way, me using my heart/gut would lead to much wilder speculation than what I have proposed so far, and have mulled over several times before I actually posted it. However, far be it from me to say you might not be knowledgeable in topics such as these, but with 14 years of experience and regularly having to browse through legal documents and financial reports has certainly taught me something too, so I'm not about to downplay my own knowledge either. Which, obviously, is why I think it is pretty safe to say that I am closer to the truth. And not to insult, but in the larger scheme of things/this law suit, the UK court ruling is of less importance than you might be compelled to think. For the ruling that Philips (one L, by the way) was going for, which is total removal of all consoles and peripherals that supposedly used their tech out of every store possible, they would have had to sue in more than just one European country because other countries are not specifically bound by British court rulings, so these might decide otherwise and even rule in Nintendo's favor. And that in and of itself could make this case drag along for at least another few years, by which time the Wii U will almost certainly be near the end of it's life so if Nintendo would then have to remove the last of them from stores it would hardly matter, since they will soon have their next platform out and they will probably not make the same mistake twice (assuming they did make one in the first place) so you can be sure that measures are already in place to make sure that things are damn near ironclad next time around. Now, if the subsequent case in the US (which is now obviously dropped) would have been opened, that would be a far larger disaster for Nintendo, and not by a bit, but by a landslide. And THAT is exactly why I said that at the very least we could ask questions and doubt that Philips actually did have such a solid case, or maybe even doubt the validity of it as a whole. The fact that one single European court ruled in favor of Philips means that much less in comparison. And the whole "Nintendo used Philips tech" is also up for debate since the tech as such was only on paper. And as far as legal goes: I didn't mention Nintendo's lawyers without reason, but I should have added that Philips' lawyers or even legal department(s) are notoriously bad, since almost all tech they've originally invented has been stolen/improved (what's in a word?) by other companies and Philips is almost none the wiser for it. Just think about the CD & CD player as one of their biggest examples of how not to let others walk away with and reap the benefits of your invention. I'm also honestly curious to know your point of view concerning why Philips, if they were supposed to have all the cards, would settle out of court if they didn't have to be worried about losing or not getting everything they were shooting for. If you stand to gain everything, you won't give up the game or go for a draw, if you're right, you're right. Now, regardless if Nintendo still has to pay them some money, as things stand they are the moral victor. And to shareholders/investors that can be a very positive thing, as well as to the rest of the outside world, and Nintendo is WAY smaller than Philips. 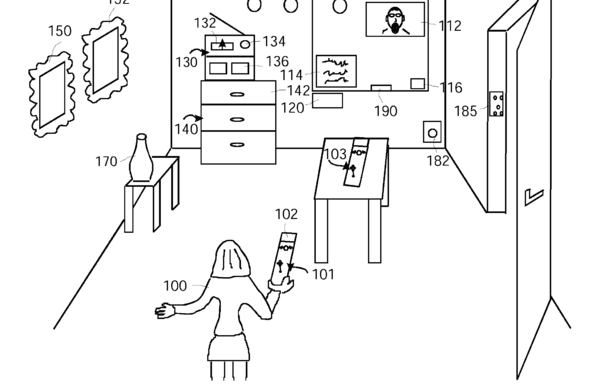 And if you've read the patent and seen the image, you could also see my earlier point about this tech having more in common with Kinect and that the fact that it is supposed to be a remote to control just about anything in the home makes it way too unspecific to point to the Wiimote and the sensor bar receiver as the obvious offenders. I am inclined to agree with you on the last point though, because obviously Philips knows that Nintendo knows its stuff in that department, which is also why they might be very happy to have access to it, and as I proposed earlier, Nintendo may be just as happy to have Philips as a partner because of their expertise in the medical industry, so the final conclusion is that whatever we think, this is a good outcome for all parties concerned and that is and should be the most important thing. @Kirk If that were really the case I doubt they would have even bothered thinking about appealing the case in the UK or announced it at all. Sounds more like both companies were stepping on each others' toes. It's not a case of Nintendo "stealing" or using other people's tech per se, but with the vagueries of international intellectual property rights, Philips (notoriously aggressive on revenue collection in this manner) will have gone through everything with a fine toothcomb and their legal team will have advised that some of Philips own IP rights will be close enough to something in the Wii/Wiimote that they could win in court. Hey presto, we end up in court, they've struck a winner here, now Nintendo will have to pay Philips an agreed percentage cost on all usages of that component. Likely a very small amount, and Nintendo may even have countered with some IP rights of their own by the sounds of it. Philips are a very smart company. They invented the i2c bus which is used by microchips to communicate with each other. The wiimote works with i2C and so does just about every gadget around. Maybe we'll see Metroid CDi, or Animal Crossing CDi . Phillips: YES! We've got some CD-i $$$ back!! Yeah, the Philips lawyers will try to make it sound like Nintendo just stole a complete invention entirely but it's probably some tiny little aspect of one or two particular Patents that the whole case is based on. It was obviously enough to make a potential case for preventing future sale of Wii/Wii U systems however, so it's good things were brought to an amicable conclusion and particularly for Nintendo. The lawyers basically always appeal this kind of stuff, if there's any wiggle room whatsoever. That's how they get paid more money, by keeping cases like this running as long as possible. These kinds of corporate lawyers pretty much don't really care who wins or loses because they're getting paid [a lot] either way. This is why lawyers are often portrayed as total a-holes, which in my opinion most of the business ones absolutely are, and as manifestations of pure evil in films like the Devil's Advocate. When the glove fits. Well, regarding why I think Philips (thanks for the correction) settled out of court even if it thought it had an iron-clad case, which I don't think it matter of fact did but it would certainly have felt in a much stronger position after that first UK judgement; it's simply because I believe Philips believes there's actually more value in being able to use certain Nintendo technology Patents for the foreseeable future than getting a simple cash settlement or licensing payment from Nintendo. Also, given that in this kind of Patent law nothing is ever as open and shut as it may initially seem; Philips probably considers it a better financial solution all round to gain some access to Nintendo's valuable technology as part of this whole joint agreement thing than to continue to spend thousands, probably hundreds of thousands, on lawyers in an ongoing case that could be dragged out for years, potentially costing millions, and that it might not even outright win in the end. Basically; this seems like a great deal all round for Philips as far as I can see; if it actually thinks it can take advantage of whatever Patents Nintendo has granted it use of in future products, which I'm going to presume it does. Also, and I think this bears repeating; I still don't think Nintendo is getting anything new from Philips as part of this joint agreement. It's simply being allowed to continue to use the same tech it's already been using in Wii and Wii U for many years but now it's just being allowed to do so without any potential of a further lawsuit, which could have massive ramifications if Nintendo were to fully lose. That is what Nintendo gets from this deal; the Philips tech it's already been using in Wii and Wii U for many years and that it would have to stop selling Wii U systems entirely in various countries if it otherwise lost this Patent. That's what the legal wording is alluding to when it says they will "cross license portions of each company’s patent portfolio" imo. Not being royally f'd and having to stop the sales of Wii U in multiple countries is the only reason why I think Nintendo has settled for such an agreement in this case; because if it didn't then based on the UK ruling there's is obviously a high chance it could have lost this case in many more territories (considering the UK is at the forefront of such law, I mean it basically invented the stuff, and it couldn't win here) and then it really would truly have been totally f'd going forward. Otherwise, like I said before, I don't think Nintendo would let Philips even sniff any of it's Patented tech. ...In other news, the gaming community would greatly benefit from having Super Nintendo games added to the 3ds eShop virtual console. Or at the very least, a graphically enhanced re-release of Secret of Mana and/or Earthbound on a 3ds cartridge. @Kirk Thanks for the rather elaborate explanation of your point of view. With that in mind it seems to me that we only disagree on minor things, since most of what you explained now makes perfect sense.